Published at 11/12/2014 20:24:39 from Argentina, 7410 visits. 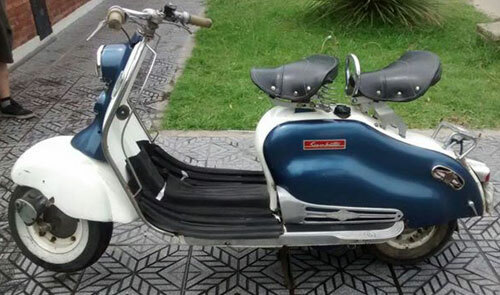 Sold bike Siambretta 150 LD 1960. Holder. Papers a day. Engine 10 points (made new). More 2 decks comes with several spare parts brand new with their original packaging. Details of painting in sight.